We're living in a really awesome time if you wanna be an alternative sports fan in Salt Lake City, and much of the Wasatch Front for that matter. --- Few people realize how fortunate we are in the idea that we have a competitive roller derby circuit with four fully-functional leagues and maybe more on the way. We've got three women's football teams working their asses off harder than some of the college teams we have in town. We've got a rising MMA circuit that's getting national attention. We even have our own professional wrestling promotion turning out better stories and matches than you're seeing on cable. Gavin: Hey Jonathan! First thing, tell us a little bit about yourself. Jonathan: I'm a problem solver and a risk taker - that's all any businessman really is. Businesses come across unique, typical and antiquated problems all day every day, and our job, as owners, is to apply the solutions. The hard part is when we don't know what those solutions are, and every time there is no clear path to follow, which is most of the time in business. We can put in hours and hours of effort on something we have no idea will ever pay off or work out, no matter how much research and planning we put into it. We won't really know how well it'll turn out until it's... out. Gavin: You're originally from New York, what brought you out to Utah to begin with? Jonathan: That's a long story, and it wasn't quite so simple - you see, a long while ago I had come out to Utah to study at U.C.M.T to become a Massage Therapist. At the time I had needed a change from the rigid ideology of New York, and the harsh weather of the Albany area. What I found in Utah was a population of people I had a very hard time connecting with my adolescent, forward, brazen, and often brash, nature was an affront to most people here. Meanwhile, their sugar-coating, mild-mannered dispositions rather bothered my impetuous need for clear, direct communication. After graduating with accolades I knew neither New York nor Utah was the place for me at the time, and I decided to follow my dreams of living near the ocean. I ended up spending four years in San Diego, living exactly one mile due east of the ocean in a town called Pacific Beach. Eventually, I missed having seasons, and San Diego's transient lifestyle left no taste to be had in my mouth. I packed up and took my third trip across the country, spending around six weeks visiting different states and places. On Jan 2, 2008 I came back to Utah with a renewed view on the state - dead-set on being a pro snowboarder. Let's just say that part didn't pan out. Gavin: For your dayjob you're the founder of Orlof's House Of Design. How did you get into graphic arts and how has it been running your own business for the past nine years? Jonathan: Many moons ago, in high school, I took every possible art and technology credit my school offered - this included a two-year long CISCO Certification class. When I was introduced to the Adobe suite I instantly fell in love, spending hours doing what is now called "photoshopping." That slowly turned into performing my services for remuneration. A business is a relationship, and it will quickly express to you all of the shortcomings, inconsistencies and misgivings of yourself. On the other side, it will reward you for your positive character traits, and make you work for every cent. It's a hard woman to love, and it's totally worth it. 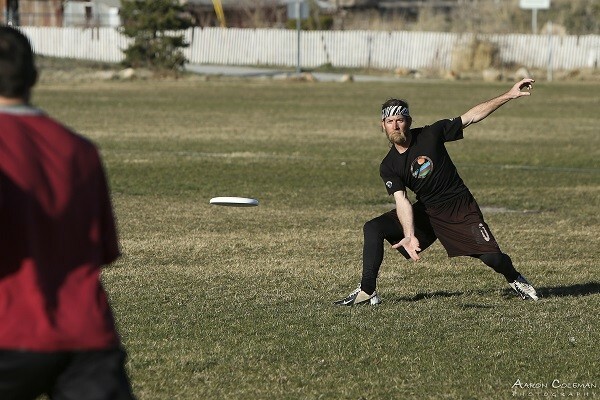 Gavin: What first got you interested in ultimate disc and how did you start getting involved in the sport? 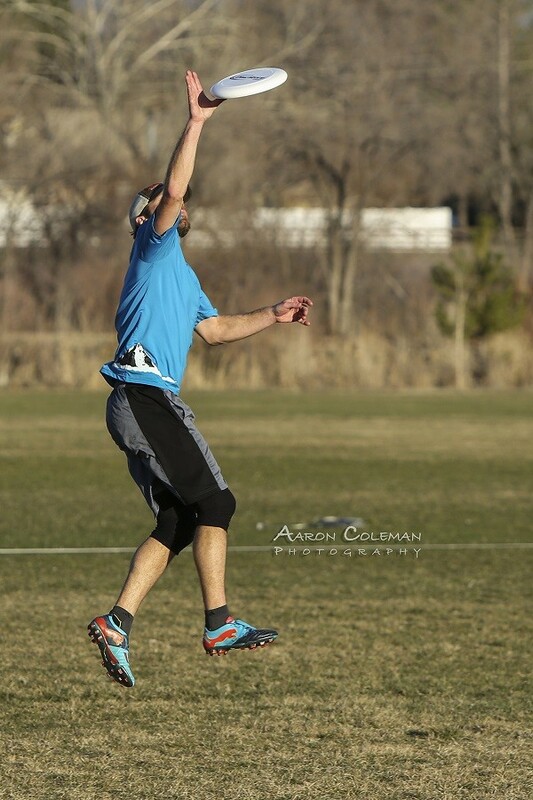 Jonathan: The first time I ever really played Ultimate, with rules and a proper field, was back in college at R.I.T. It was hard, it involved more running than I knew what to do with, and the immense personal drive it took to be good at was intoxicating. I still remember the moment I scored my first real goal back in 2001. It changed my life. Gavin: Prior to forming the team, what was it like playing the sport around SLC in competition? Jonathan: For the first little while I had no idea where to play Ultimate here, I checked online, but the websites were all old or dead. I looked for "MeetUp" groups, but those never panned out. Eventually I started driving around parks at random hours of the day. That's when I stumbled across an off-the-grid Tuesday night game which is host to some notable Utah business folks, including the man who owns and operates the now-national Dirty Dash. Slowly the scene revealed itself to me, and I heard about the now UUDA-run Winter League. That lead to Murray City's Spring/Summer/Fall leagues, and the rest is history. 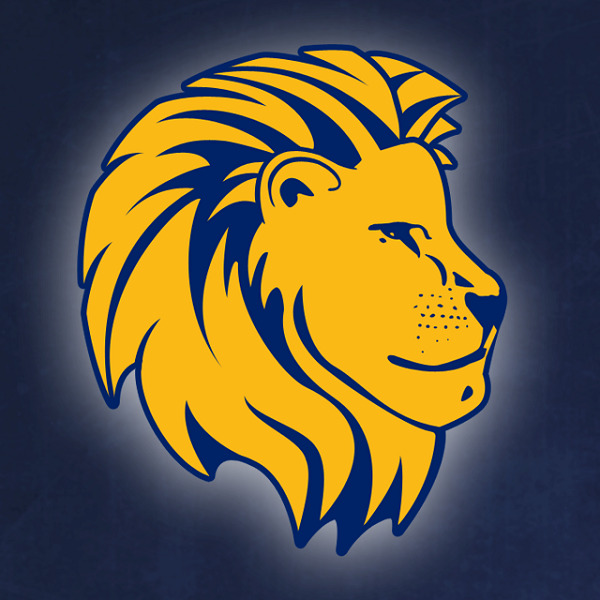 Gavin: How did the idea come about to start up an ultimate disc team, and why choose the Lions as the mascot? Jonathan: Back in April of 2012 I read a Facebook post about a league which had started in the North East. I contacted the AUDL and told them Utah needs a team: they had no previous intention of putting one here. With some mild convincing, the Lions were born! Why the Lions? Let me answer that with a series of questions. Who does a Lion answer to? What does a Lion fear? What hunts a Lion? In terms of land mammals, how would you rate the power, prowess, speed, cunning and intellect of a Lion? Who messes with a Lion? I rest my case. Gavin: What was it like for you getting the word out and starting to form the team? Jonathan: Getting the word out was a bit of an eye-opener. Here I am with an awesome product I just want everyone to know about, and no one understands it! This isn't like a football team where nearly everyone has at least some semblance of what the sport entails. Most people still think Ultimate Disc is played with dogs, hippies, baskets, on a course like golf, or is only for the beach with some "buddies." I task all Ultimate players with getting the proper word out - that this is a legitimate, powerful, exciting sport with amazing athletes and non-stop action! To lead that charge, we made a video called "What is Ultimate Disc?" Gavin: With most sports, average fans have an idea of the kind of training and practice that goes into it, but Ultimate Disc isn't your average sport. What do you need to do to train for this? 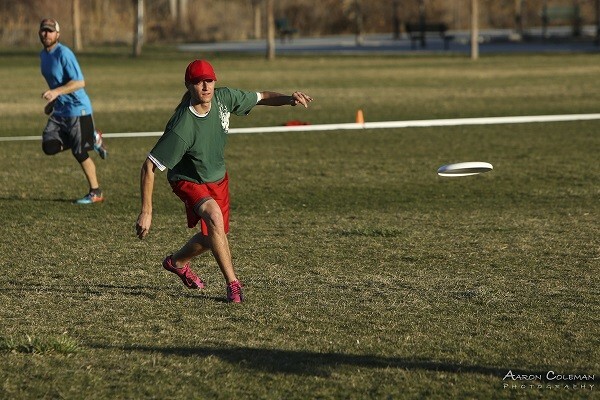 Jonathan: You're right, Ultimate is unlike any other sport. No other sport makes an athlete play every role, in Ultimate a person has to be the quarterback, wide receiver, safety, wing, goalie and cornerback. Every player has to be good at every one of those things to be considered a threat on the field. 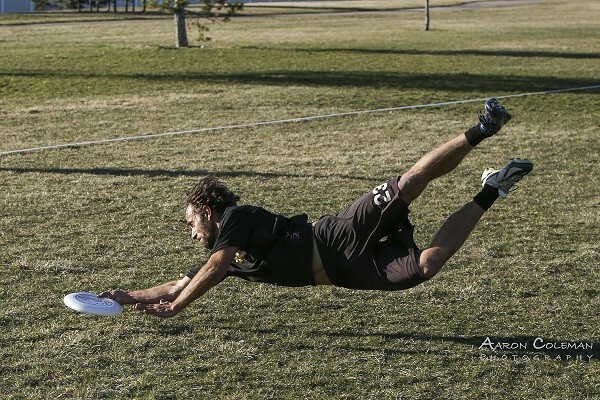 Not just that, but Ultimate players must accept the fact that their own bodies are now sacrificial lambs for the Disc. "Going big or going home" doesn't even begin to describe what I mean. 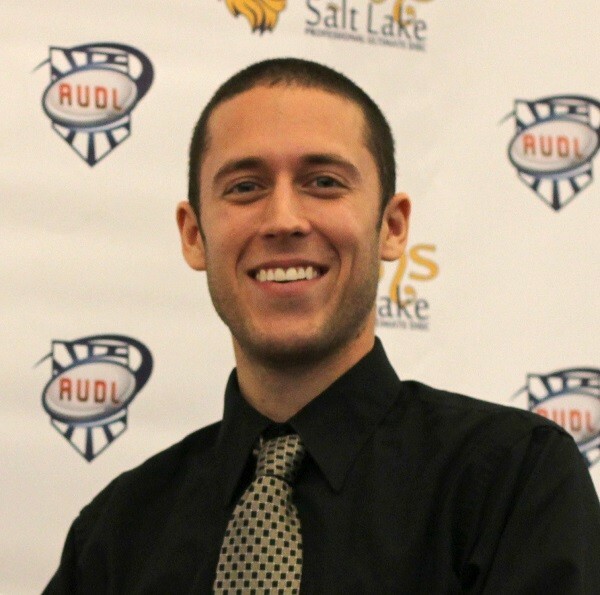 Gavin: How is it searching for talent in SLC and finding the right player to take on a position? Jonathan: We had a hard time finding the right talent, and getting the players to recognize the potential and opportunity. What we ended up with is an excellent team full of men with outstanding character and morals. We've become a family: we eat dinners together, work out together, play games together, get frustrated with each other, and hug it out after. Each member of our team is responsible for the other, and they take that very seriously. Gavin: It was announced earlier this year that the Lions would officially be joining the AULD with four other teams to form the new West Division. How did that opportunity come about? Jonathan: With the league spotting known and potential hotbeds for Ultimate, these were the teams the AUDL felt would be ready for the season come April. In 2015 the league has plans to expand further into the west, and to establish a South Eastern division which includes the long-awaited Jacksonville. Gavin: What kind of pressure does that put on you and the team to not only build a bigger fanbase, but also to represent SLC and that division well as major competitors? Jonathan: The weight is something I go to sleep with every night and wake back up with in the morning. Utah has a statement to make to the country, no one knows what we can do yet. We have one of the best high school scenes in the country with 23 teams, and the #1 High School in the country three years in a row: Lone Peak in Highland. Our roots are strong. 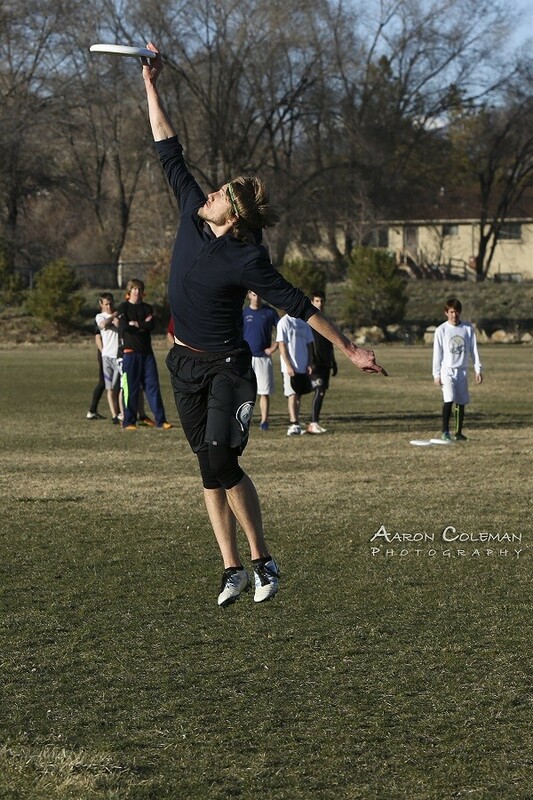 We've cut the fat from the Utah scene and taken the best athletes around. They hail from BYU, BYU-Idaho, the U of U, local clubs and varying other locations. 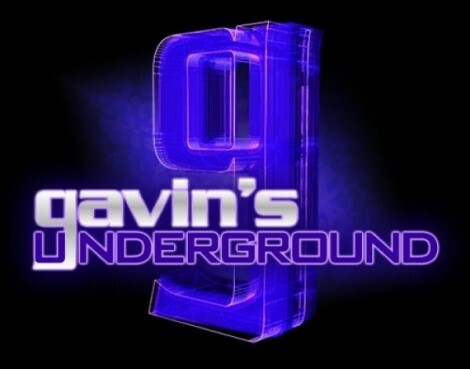 Gavin: I understand you're crowdsourcing to help out with the last part of the season, can you explain a little more about the situation and where the money would be going? 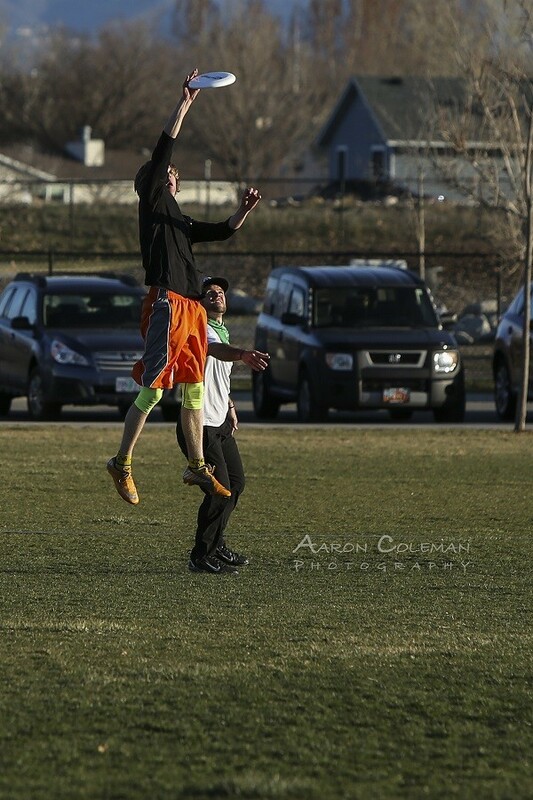 Jonathan: Our IndieGoGo campaign is designed to bolster the sport in our community and foster the youth of Utah. 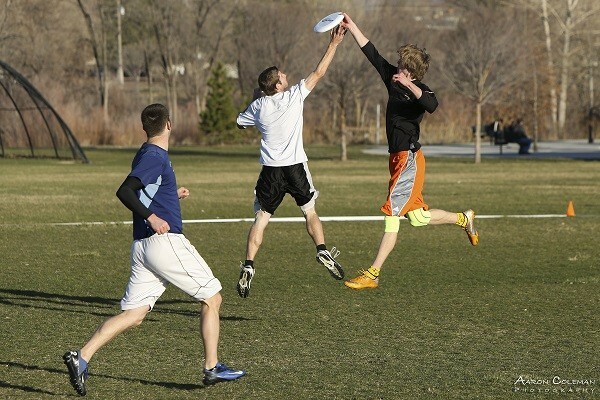 Ultimate teaches kids great life lessons like communication, problem solving and sportsmanship. There is something called "Spirit of the Game" which is the primary objective of every game, and there are awards for teams who display the best "spirit" at competitions. 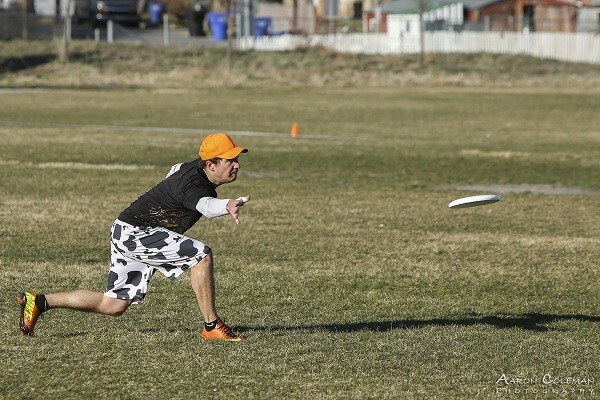 Honor, integrity and high-morals are the heart of Ultimate. We have been promoting and building programs for kids here since 2012. This funding will help us to further that cause, give us more opportunity to serve the community and ensure an excellent season for Lions fans! Please take a moment to check it out! Gavin: Your season officially kicks off on April 12 at Taylorsville High against another new team, the Vancouver Riptide. What are your thoughts going into the season opener? Jonathan: The season opener will be crazy! Fans, vendors, players, the roar of the crowd, the snap of the flags, the national anthem, the huge plays, the unknown, the smiles, the laughter - thinking about it gives me goosebumps! We still have plenty of planning and people to get into place. Each process has been given its own time to make sure it has been done right - a strong foundation is key, and it's something we've worked hard to establish. Gavin: For those interested in attending, how can they pick up tickets? Jonathan: Tickets are available directly through our website, and at a discount on our IndieGoGo Campaign. Gavin: What can we expect from you and The Lions over the rest of the year? Jonathan: On the field, fans can expect awesome action, sportsmanship and athleticism. Ultimate games are jam-packed full of excitement - it's a guarantee! I've never watched a "boring" Ultimate game in my life, at any level, and the Pro players make it that much more entertaining! Off the field, you can expect a serious and meaningful impact on the youth of Utah. We already have outings planned for the Utah Summer Games, Utah Kids Club, Down Syndrome Foundation of Utah and others. We have players going into high schools to teach kids about the sport, be mentors and become heroes for our kids. Jonathan: Gavin, I'd like to speak directly to the fans and readers: My staff and players work very hard every day, and they are heartily dedicated to this sport and its growth. We want to be around in Utah for a very long time, and we can't do it without you. Come to our games. Grab a perk from our IndieGoGo Campaign. Try something new. I promise you'll have a great time! Thank you for being here and reading. Thank you for being a part of this community. Thank you for supporting the Salt Lake Lions! See you on the field! Go, LIONS!